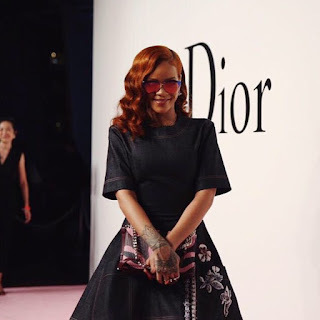 As the new face of the brand it only seemed plausible that a denim-clad Rihanna was in attendance for the Dior fashion show which presented its fall collection earlier today. Of course Rihanna turned heads looking like the hot stuff she truly is. The last time Rihanna was in Tokyo was for the premiere of her own film 'Battleship' in 2012. As a result, this was in deed a very big deal for the Bajan beauty to be attending her first fashion show in the city.